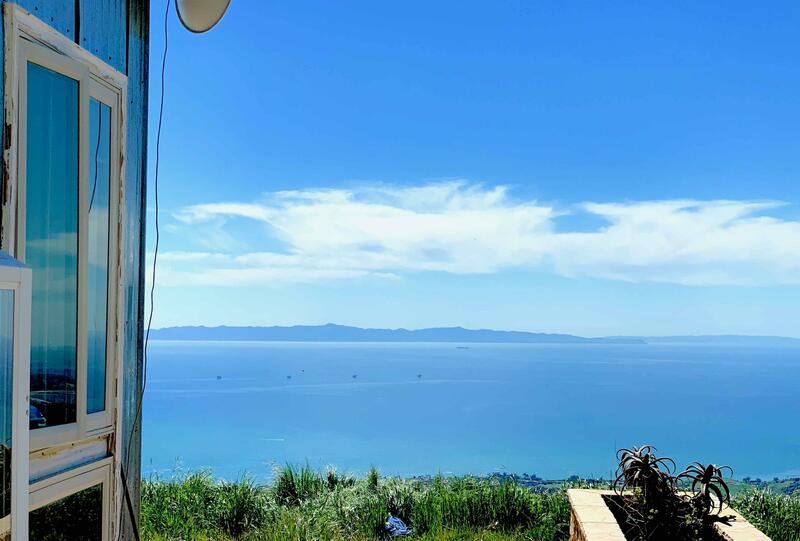 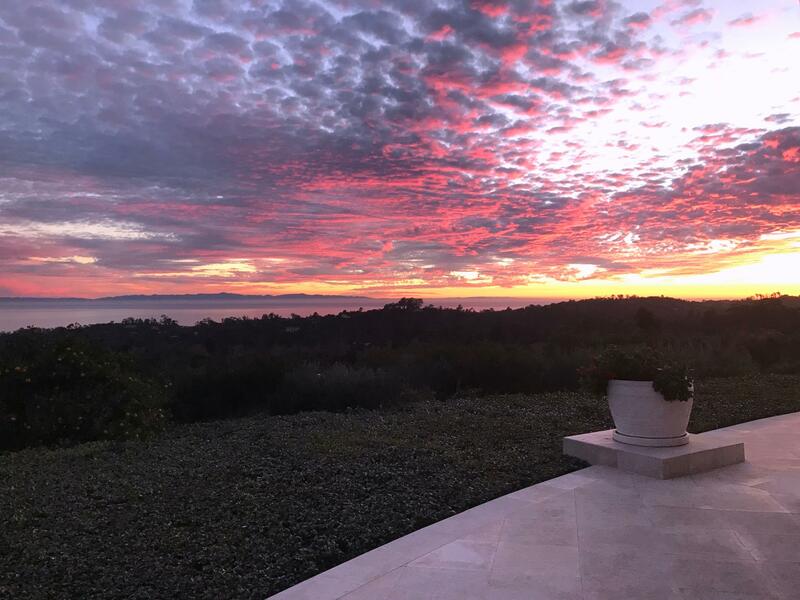 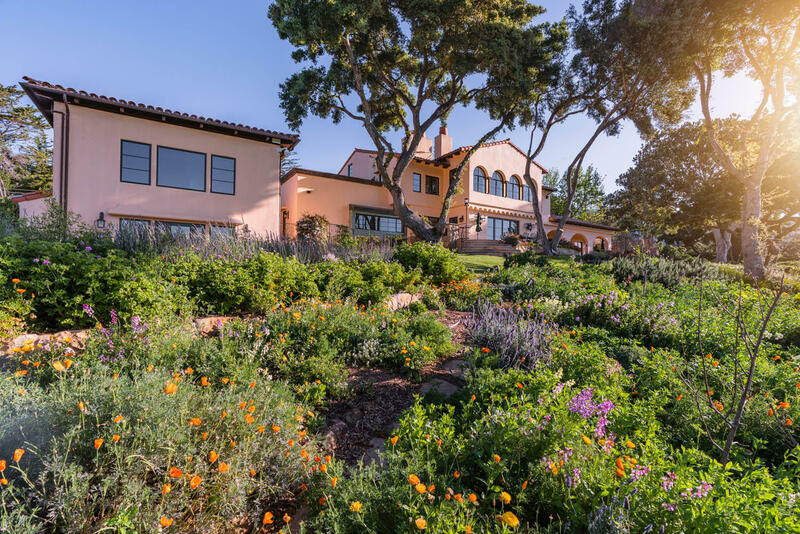 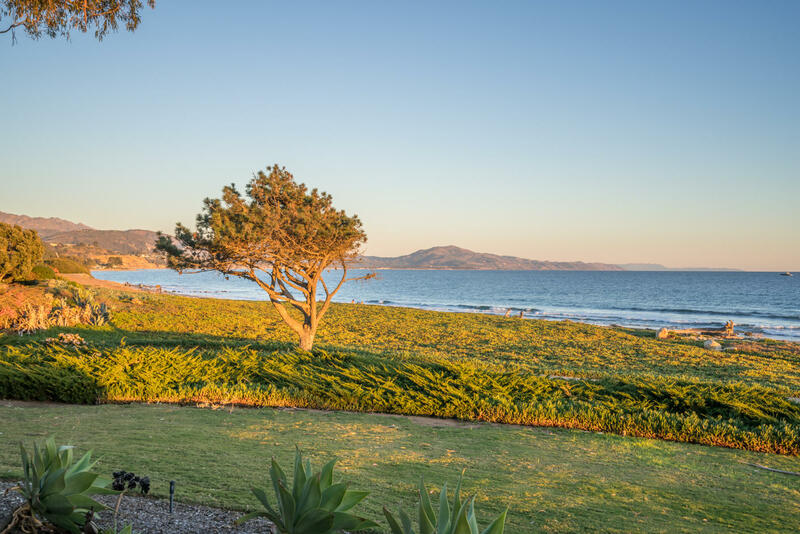 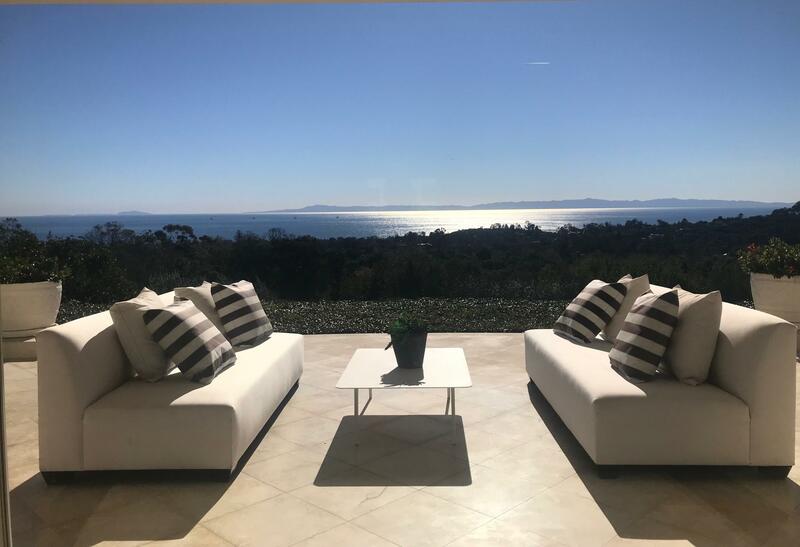 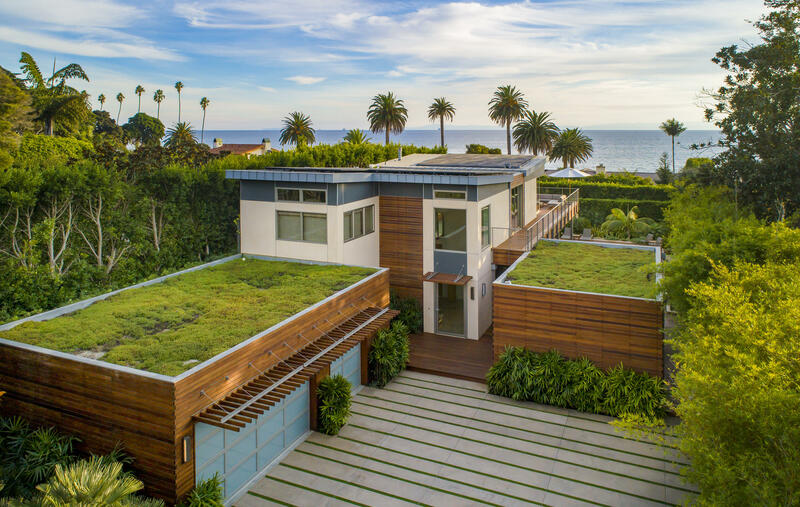 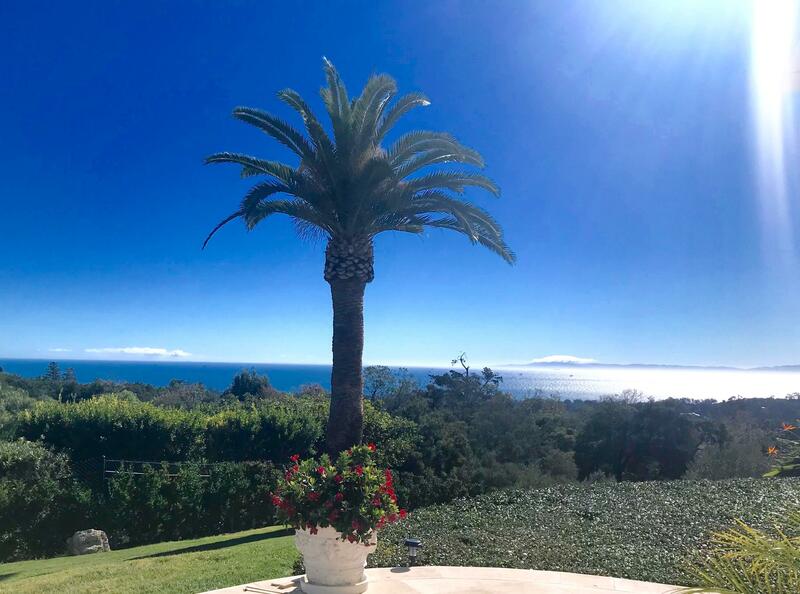 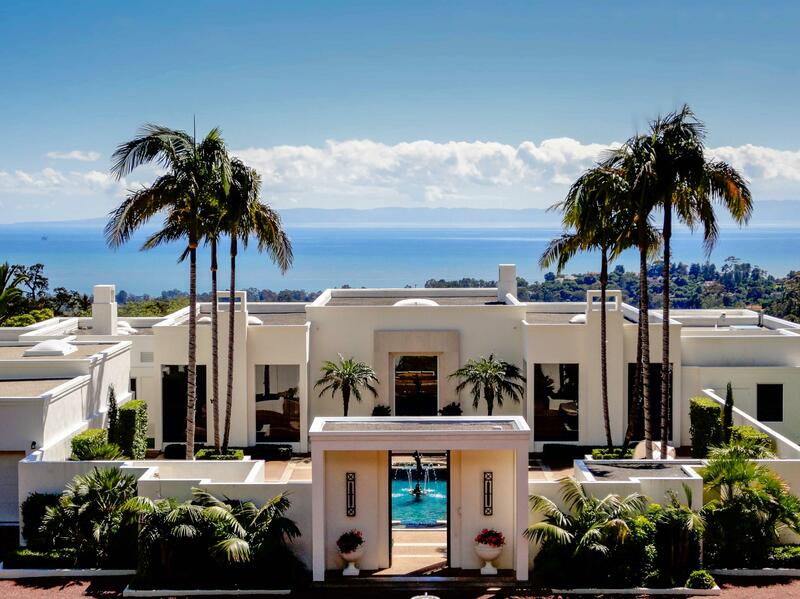 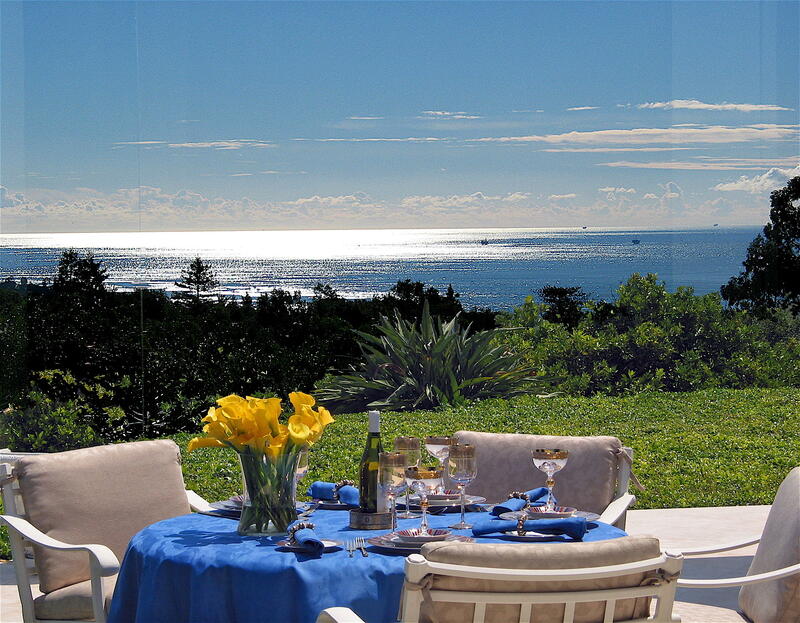 Situated on approximately 2.1 acres, this stunning Contemporary estate boasts unparalleled ocean and Channel Island vistas from most rooms. 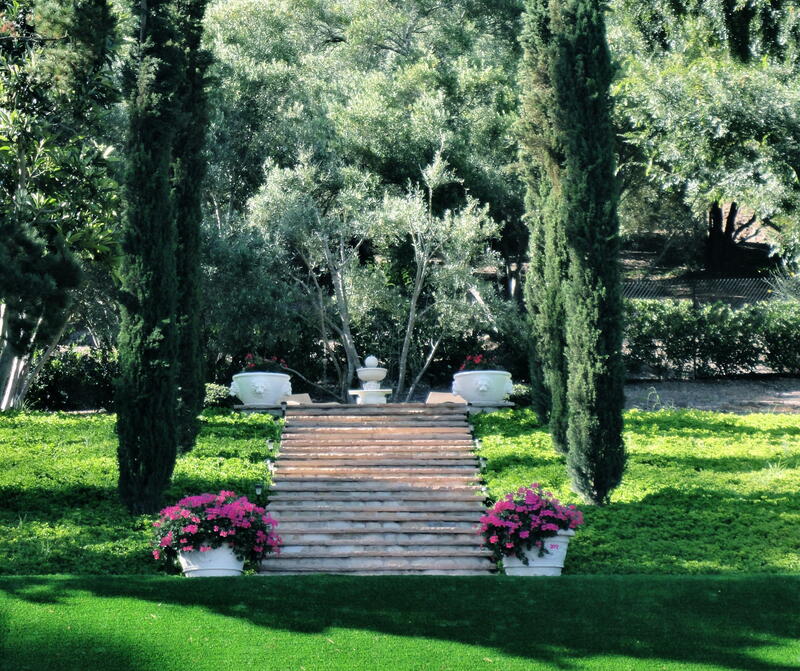 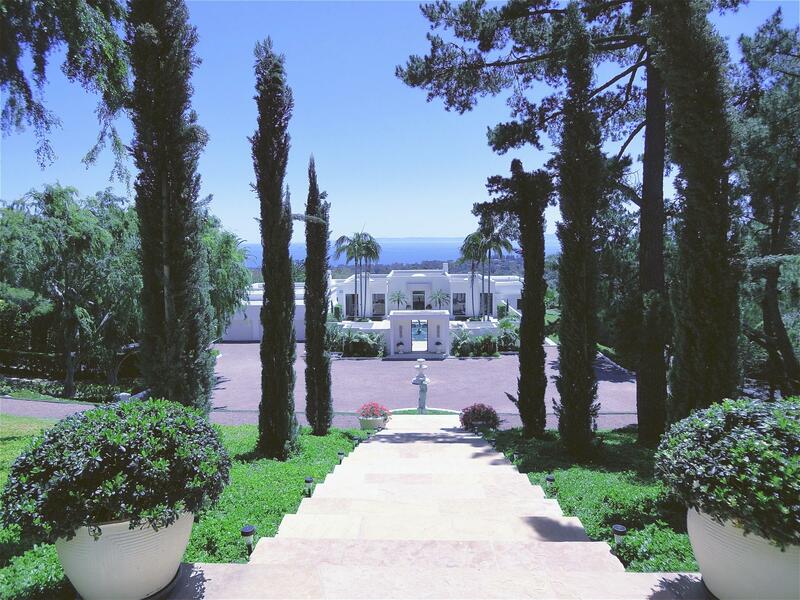 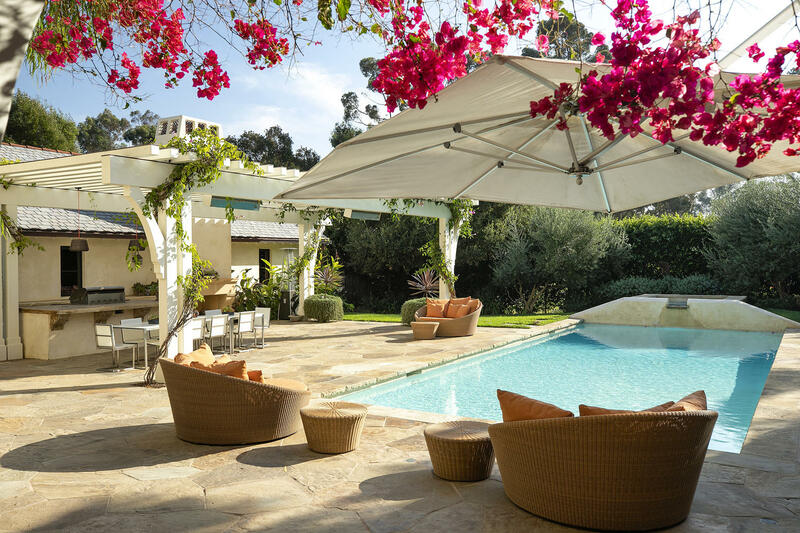 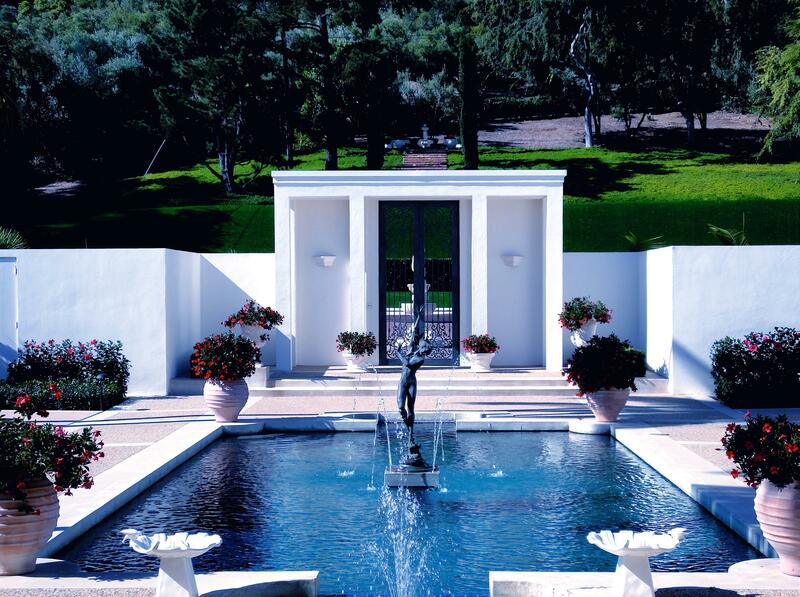 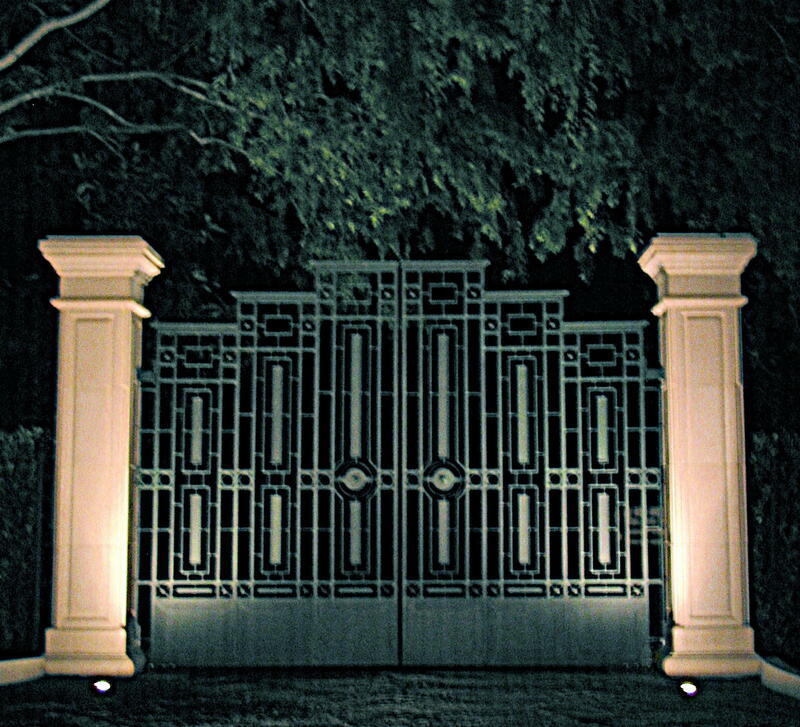 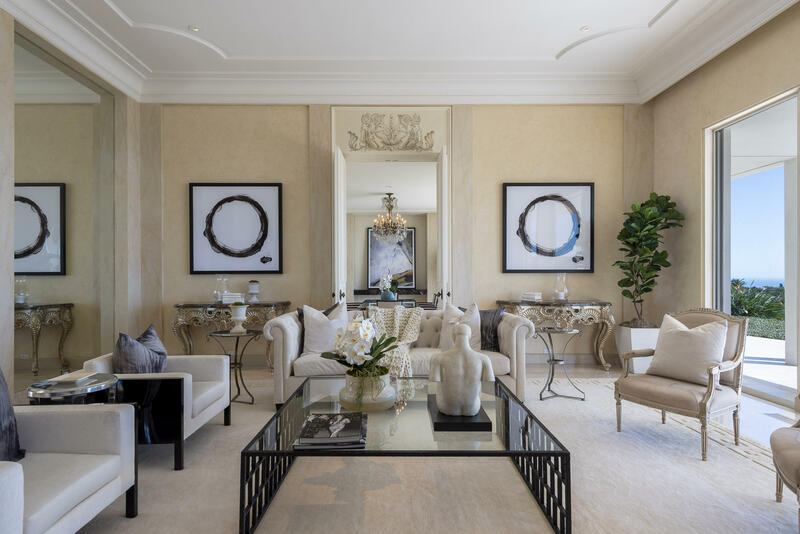 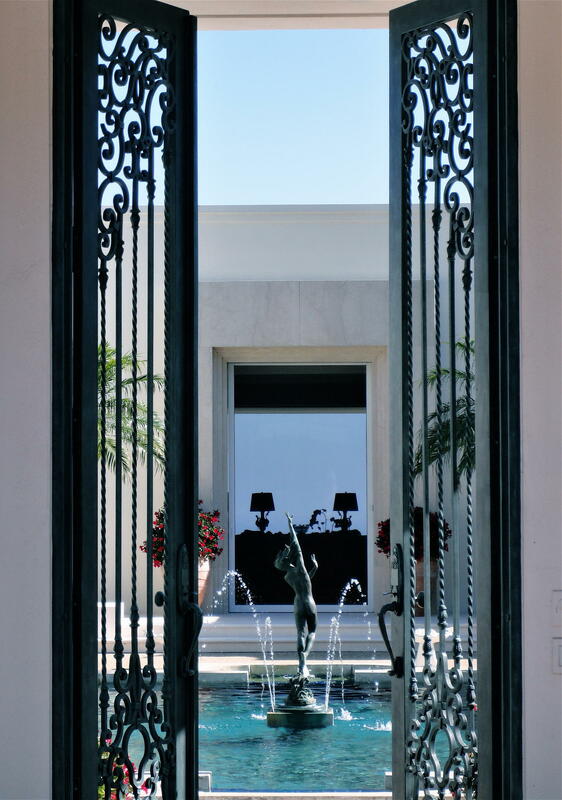 Designed by James Morris and remodeled in 2010, the estate combines classical Palladian and Contemporary architecture. 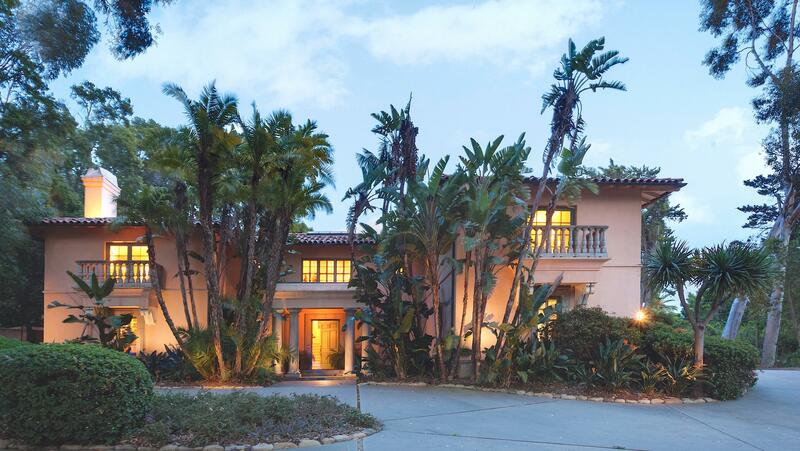 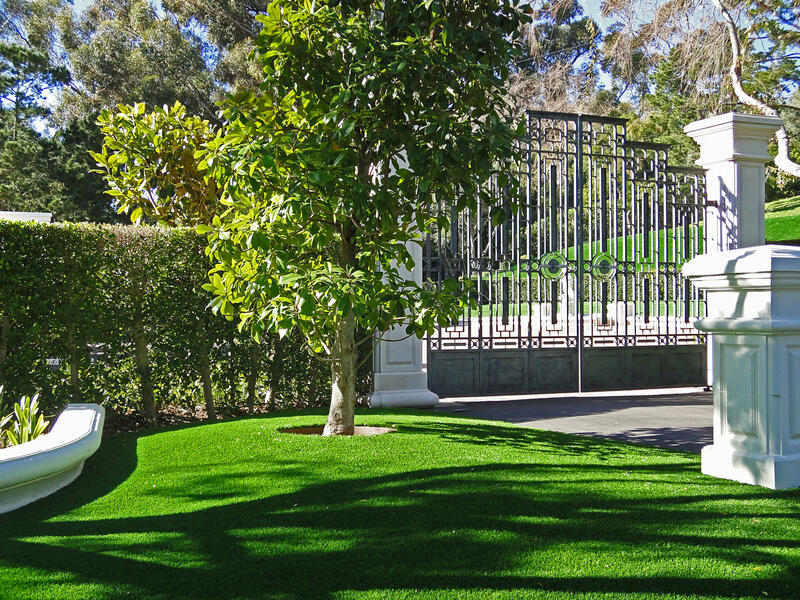 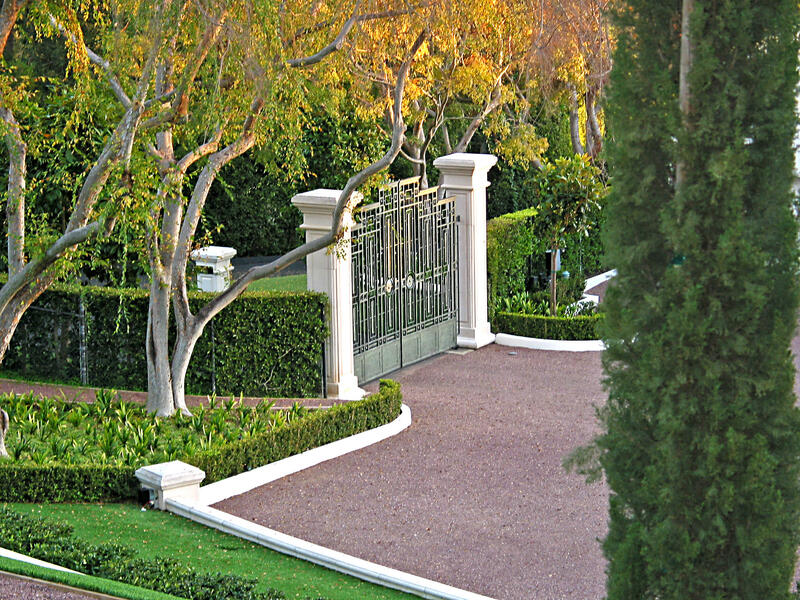 Upon entering via the home's grand gated entry, visitors are greeted by a substantial motorcourt, with paths to a property overlook on one side and the home's stately courtyard on the other. 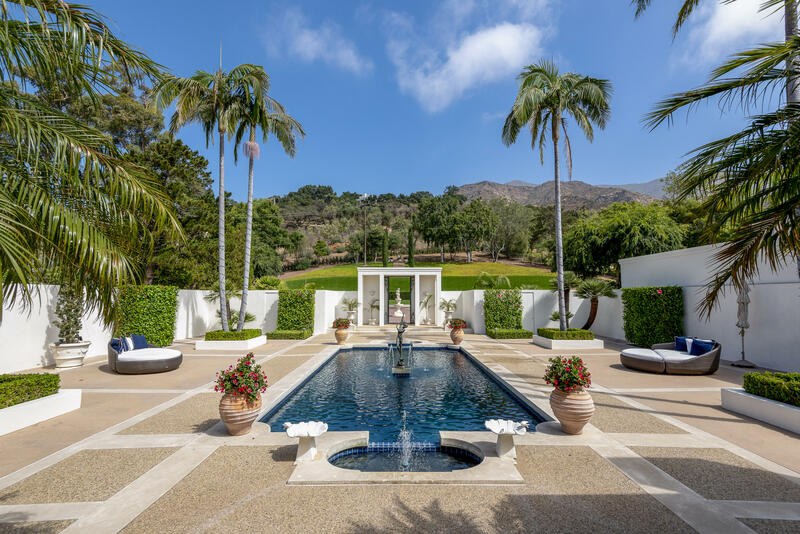 The fabulous courtyard, graced with an array of palm trees and beautiful planters, centers around a pool & spa displaying an impressive fountain. 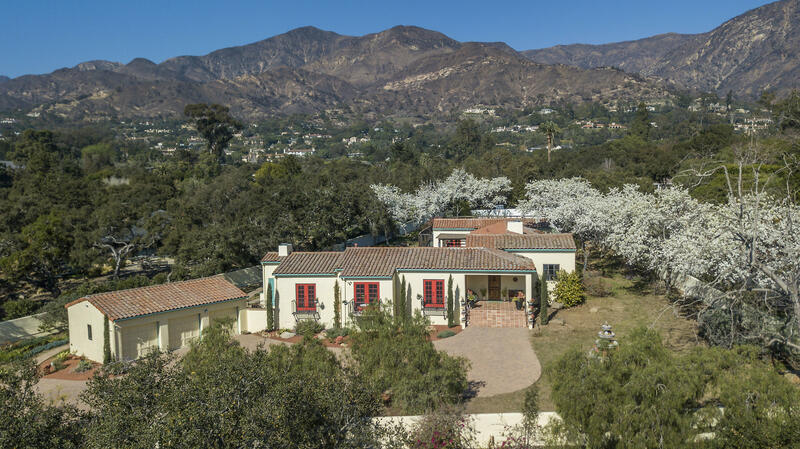 Orange and persimmon trees can be found on the property. 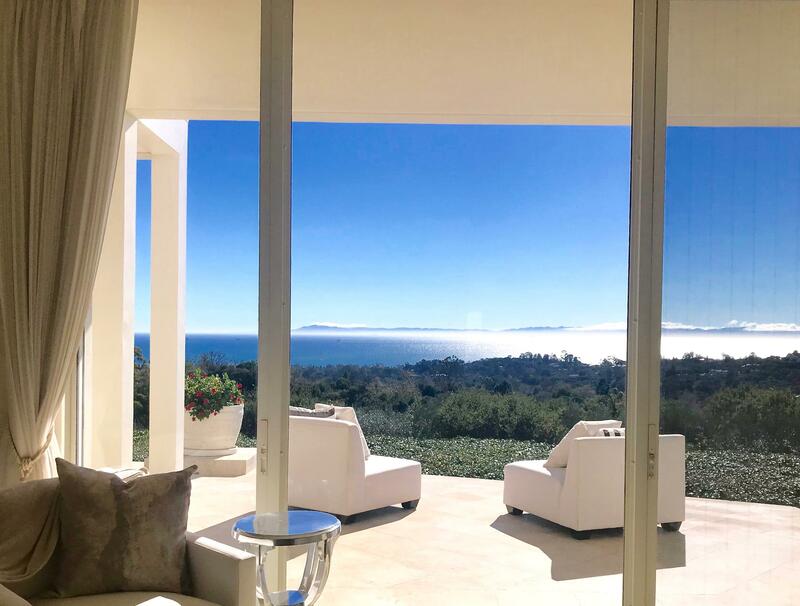 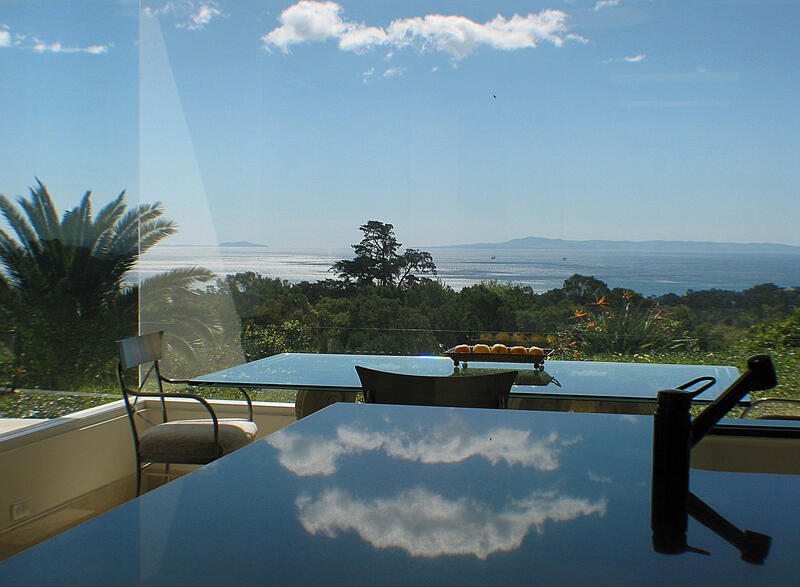 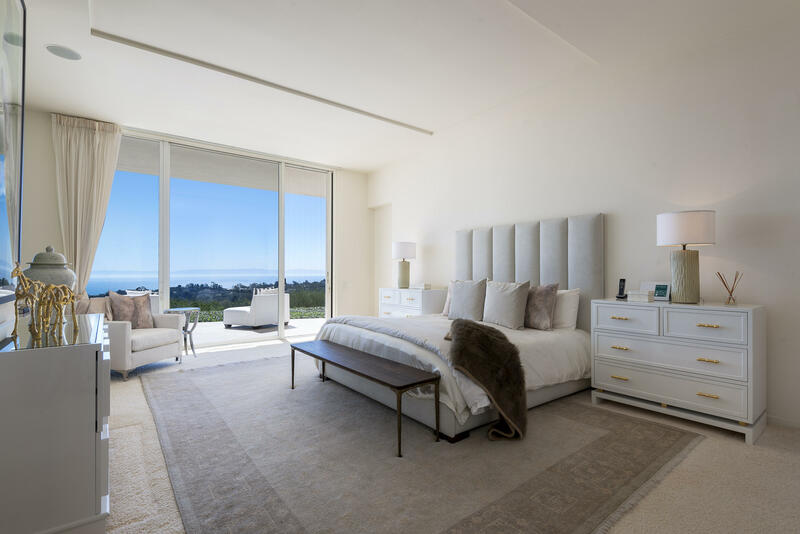 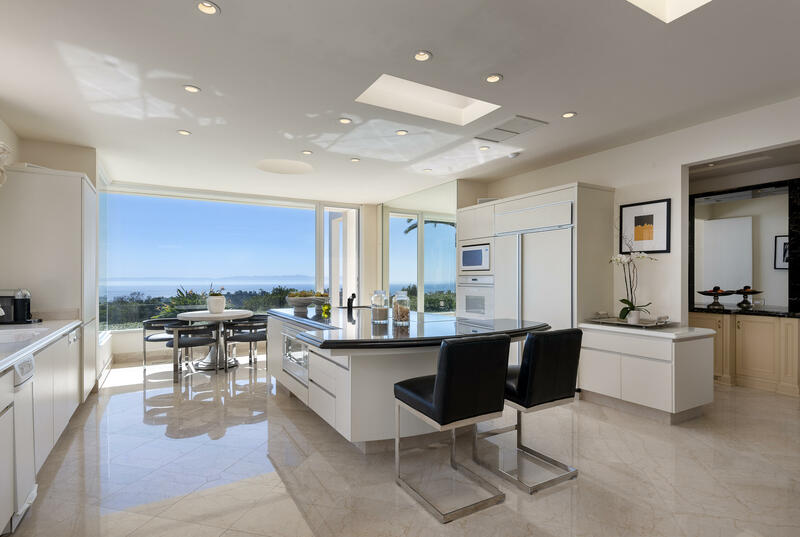 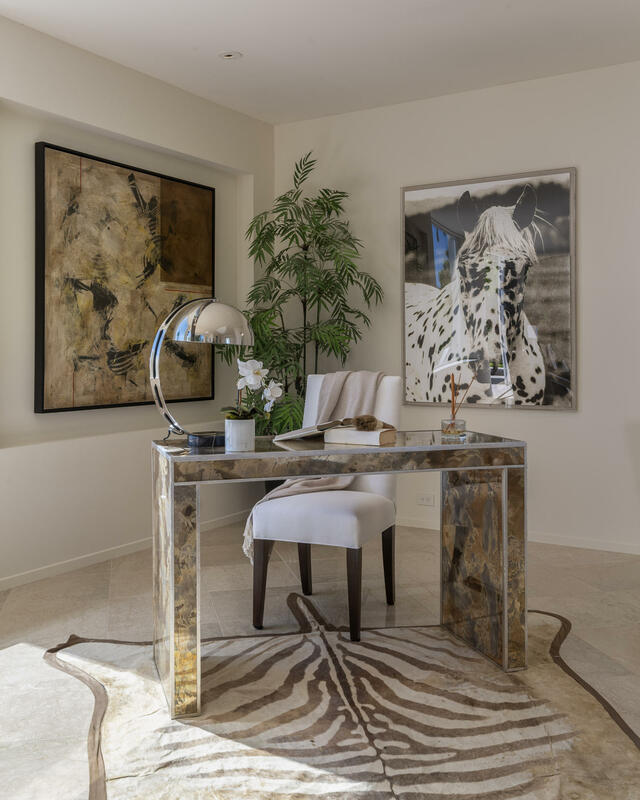 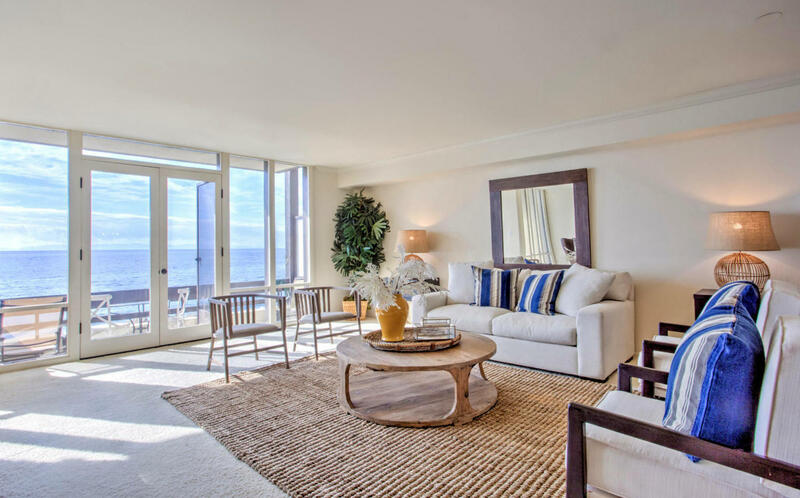 Once inside the home, one's eyes are met by the large glass walls of the spacious living room, with ocean and Channel Island views on full display. 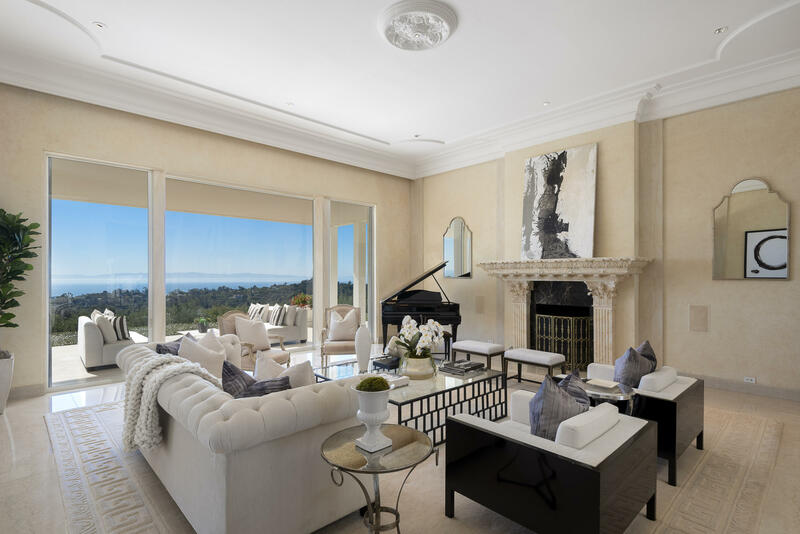 A set of large French doors takes you from the living room to the dining room, where the sprawling views continue, and move on to the adjacent kitchen. 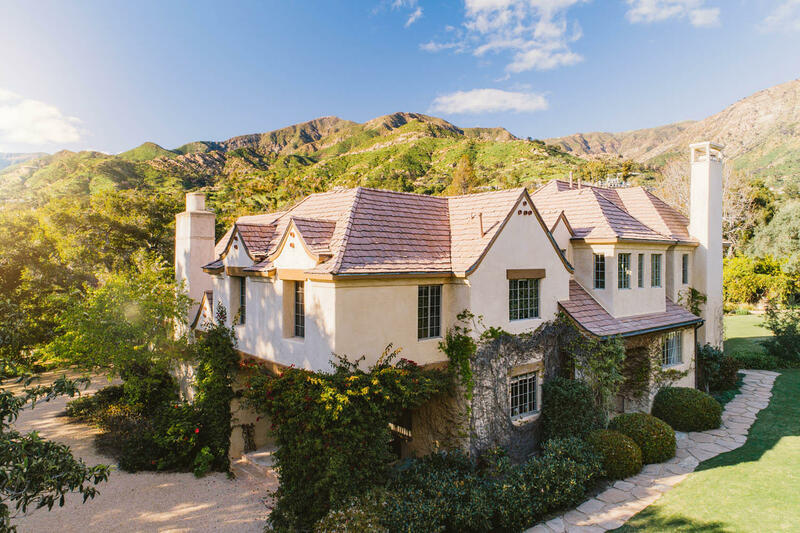 There is an elegant family room with a fireplace overlooking the lovely courtyard, and with dramatic mountain views. 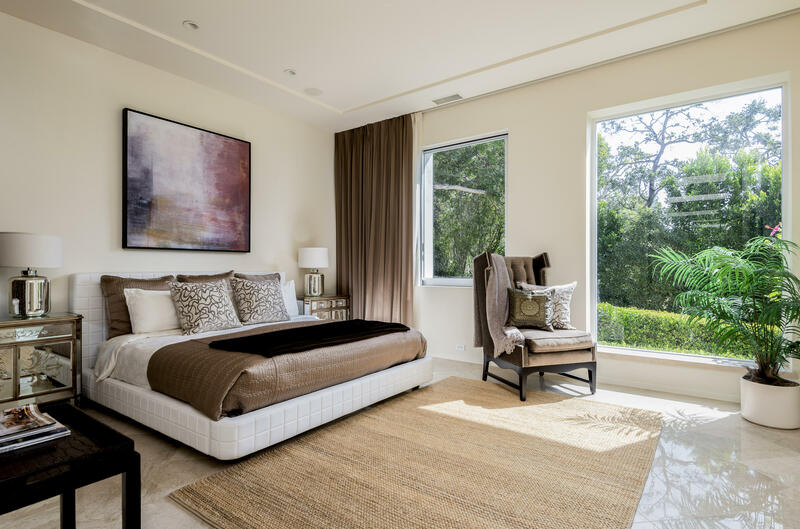 The flexible floorplan features an extraordinary master suite which is host to a spacious bedroom, sumptuous bathroom, a office or gym and spectacular views. 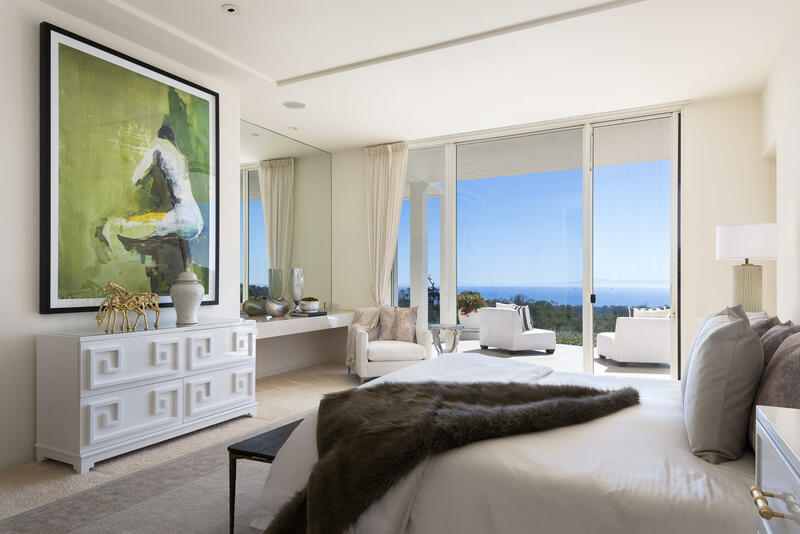 The two generous-sized guest bedrooms feature en-suite bathrooms and have views of either the ocean or the mountains and courtyard. 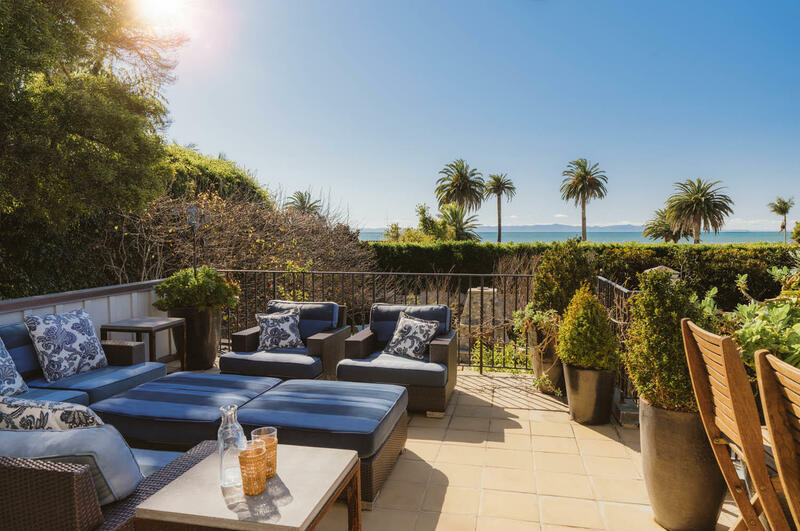 The wraparound terrace is the perfect place for morning coffee, or to watch the sunset while hosting a dinner party with friends. 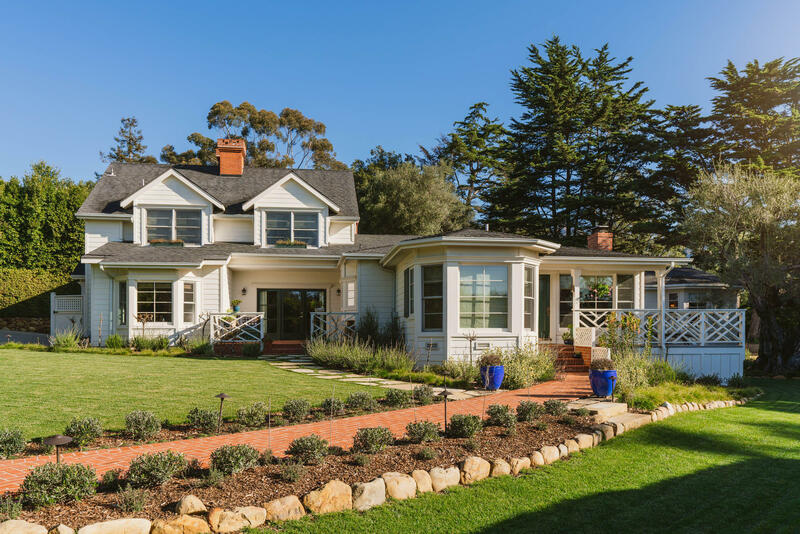 With plenty of indoor and outdoor areas to lounge and host guests, this home is an entertainer's dream. 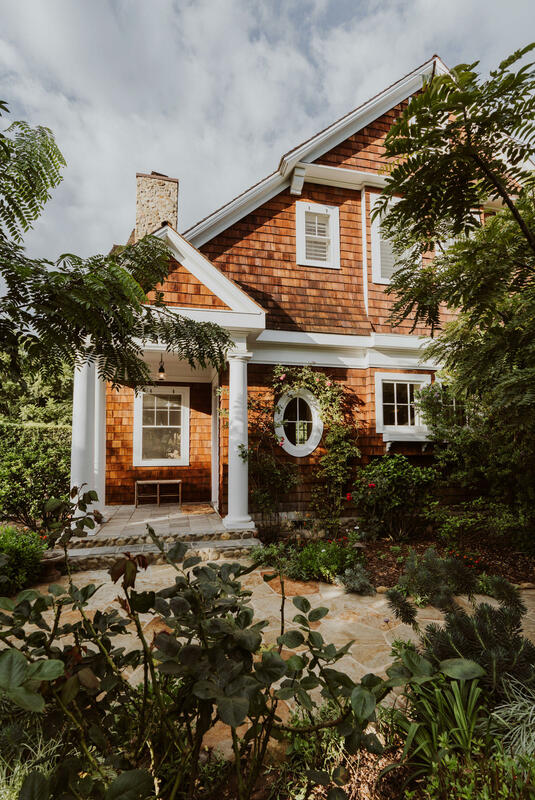 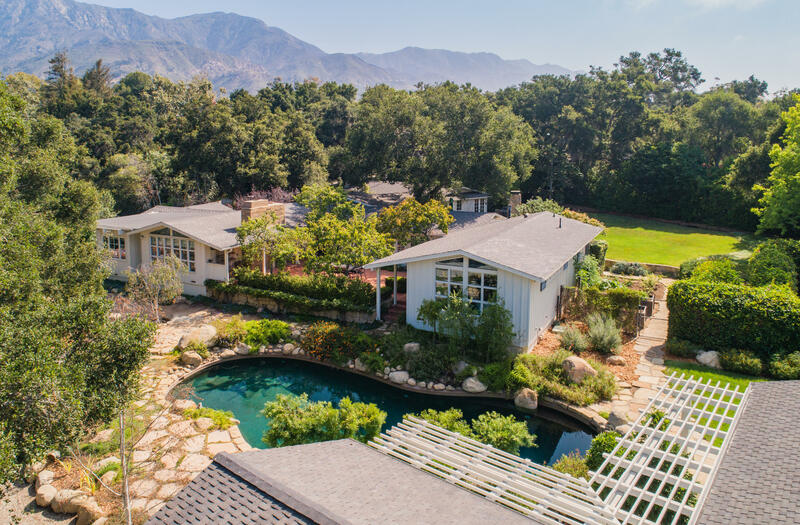 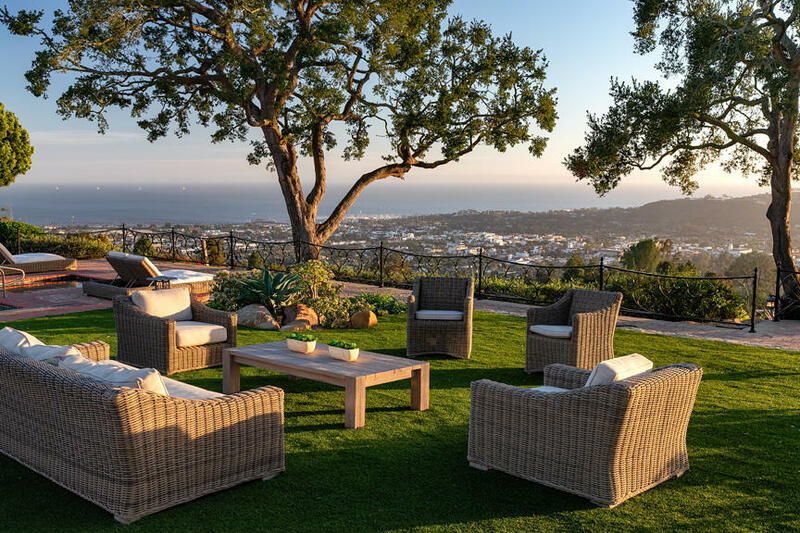 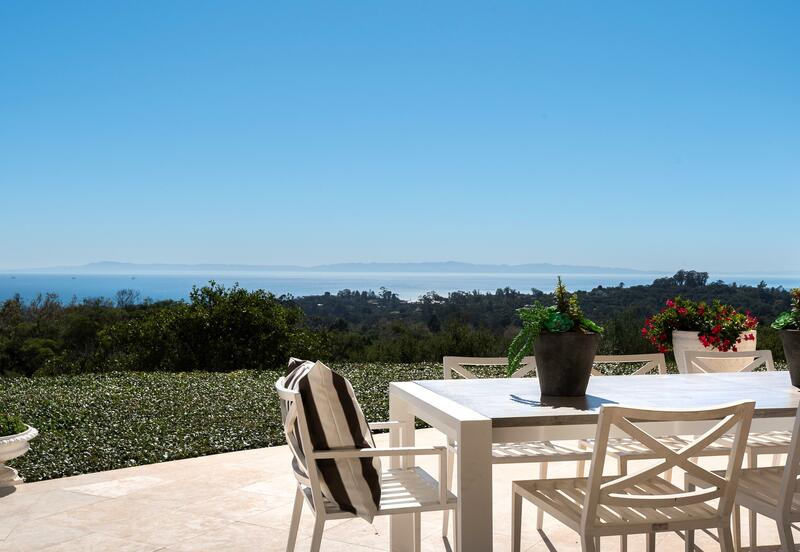 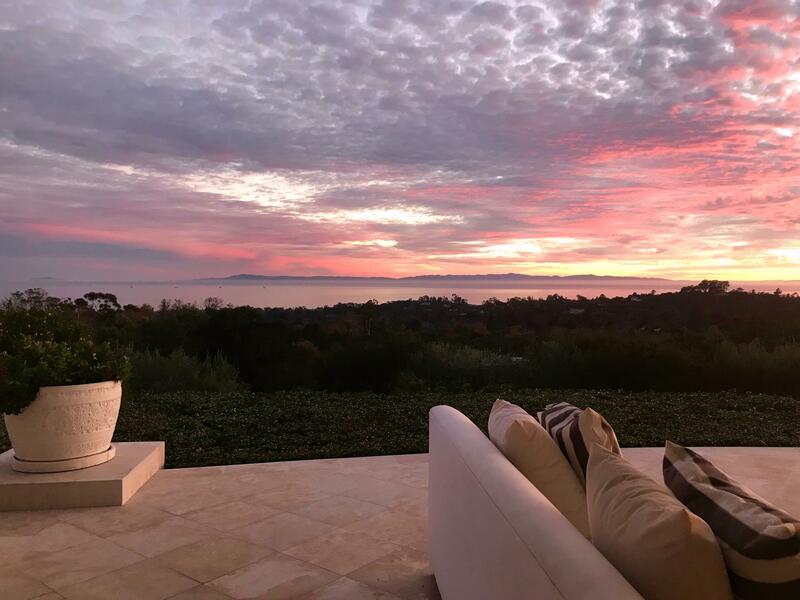 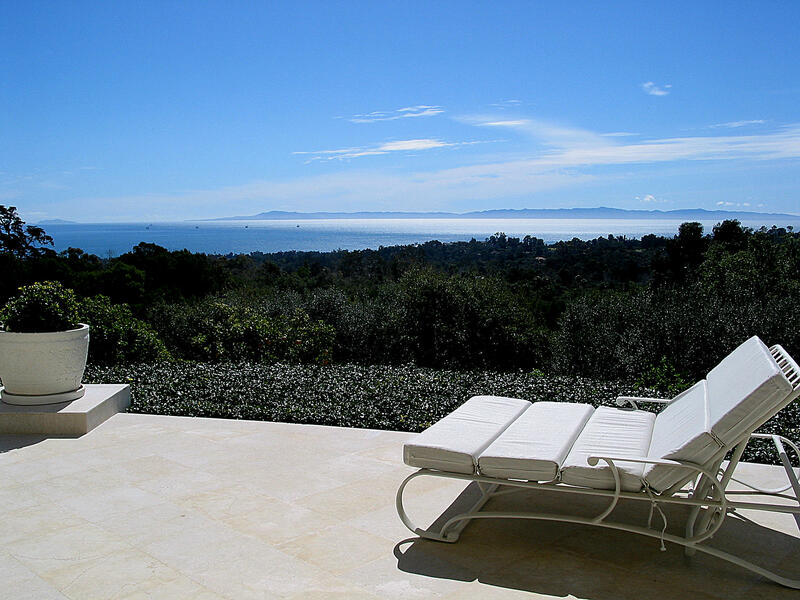 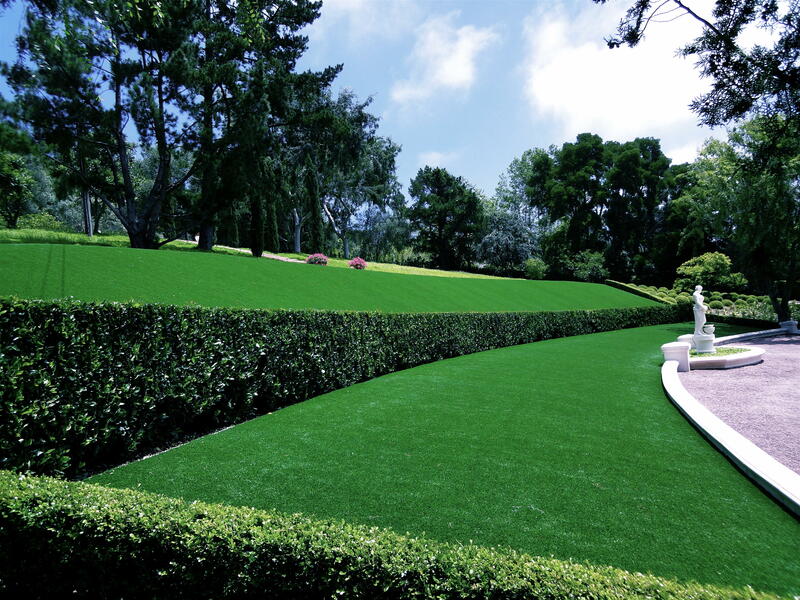 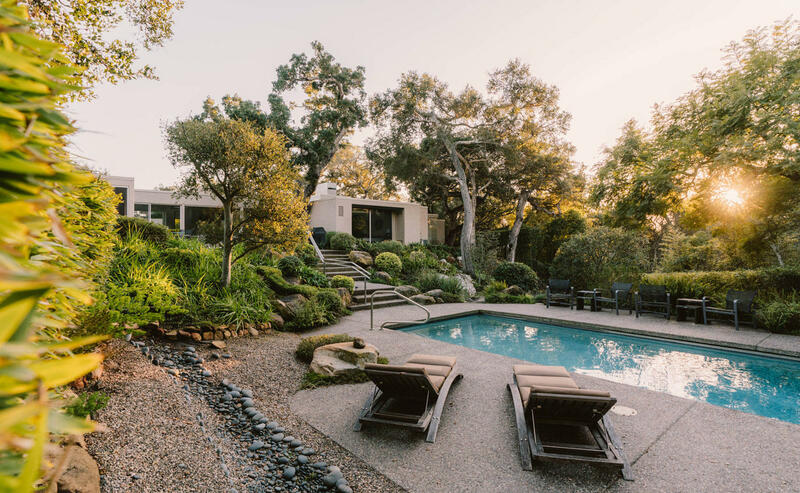 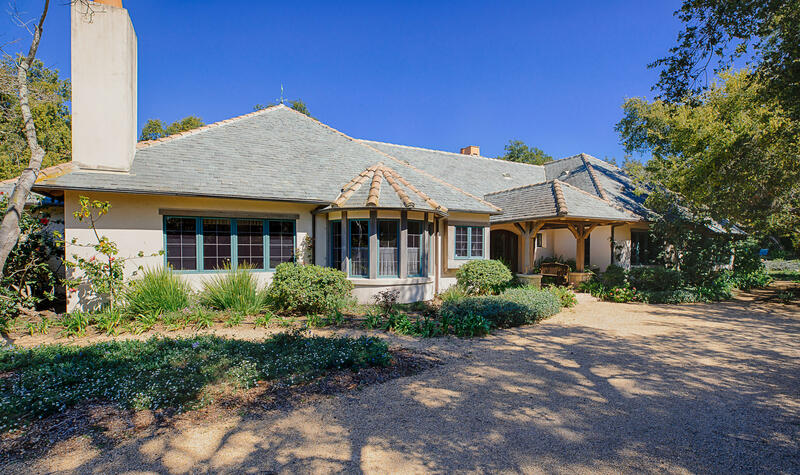 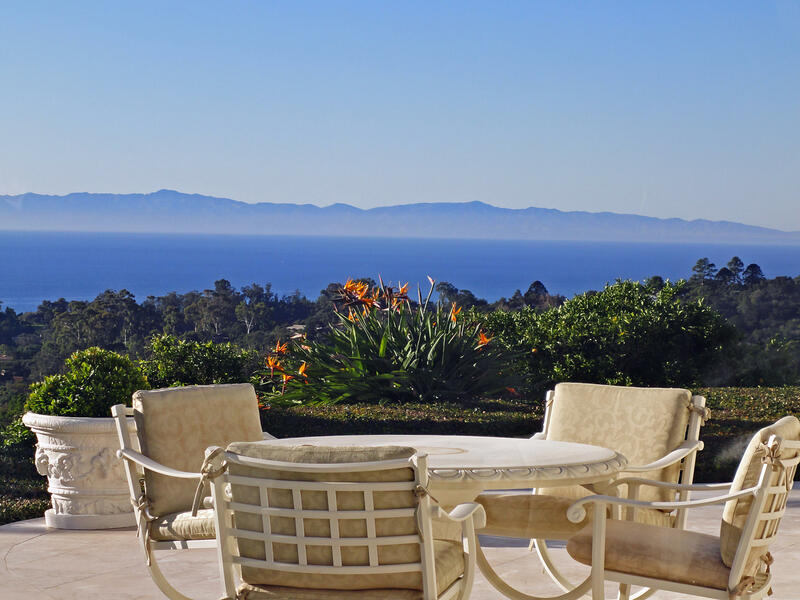 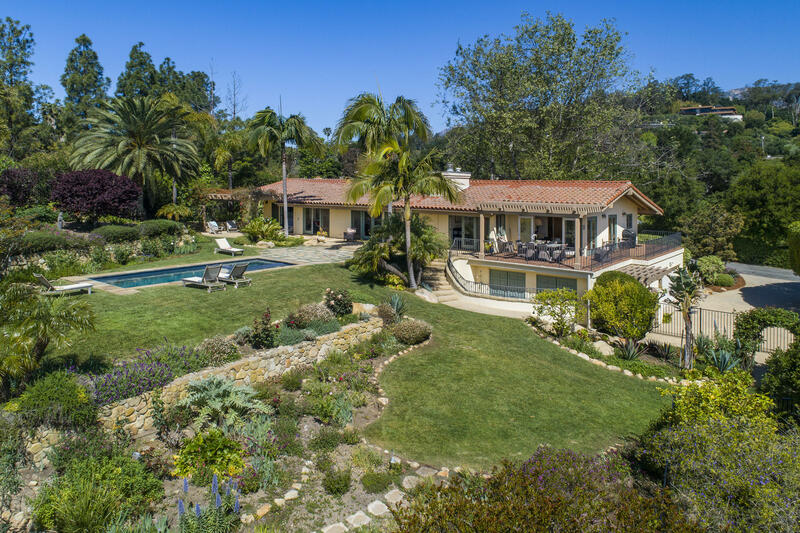 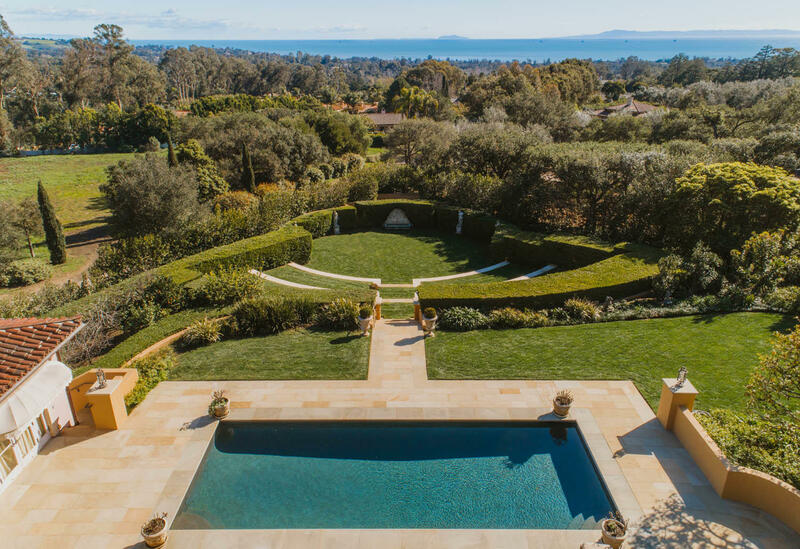 While utmost privacy is a distinct characteristic of the estate, it is just minutes to all that Montecito and Santa Barbara have to offer.